Truck enthusiasts love using acronyms like NBS (New Body Style) and OBS (Old Body Style) as shorthand to identify which generation of truck they are referring to. But what counts as “new”, and when does it become “old”? You would think that once something had been around for a while, people would stop calling it “new”, especially as something that was literally NEW came along to replace it. After all, everything that’s new does become old at some point. But NBS/OBS terminology defies such logic. Instead of crowning the latest generation as “new”, and demoting the previous incarnation as “old”, it takes one particular generation and grants it permanent status as “new”. Or at least it would, if words meant anything. In practice, it seems more like NBS has abandoned its roots as an acronym and become a meaningless shorthand code for that one generation. And what generation is that? What generation of truck has become the Anno Domini of automotive timekeeping? And whose bright idea was this? Wikipedia credits service technicians for using OBS to differentiate Power Stroke -equipped trucks of the mid-late ’90s. Did these techs actually coin the term OBS, or did they simply adopt and perpetuate an existing nickname that was rising in popularity? Either way, the nomenclature stuck. There was some overlap between Ford’s new and old body styles for the 1997 model year, so perhaps Ford is partly to blame for creating a need for clarification between the two. The “New Body Style” F-150. But it’s not just Ford trucks that were subjected to the NBS/OBS phenomenon. It sees heavy use among the GM truck community. 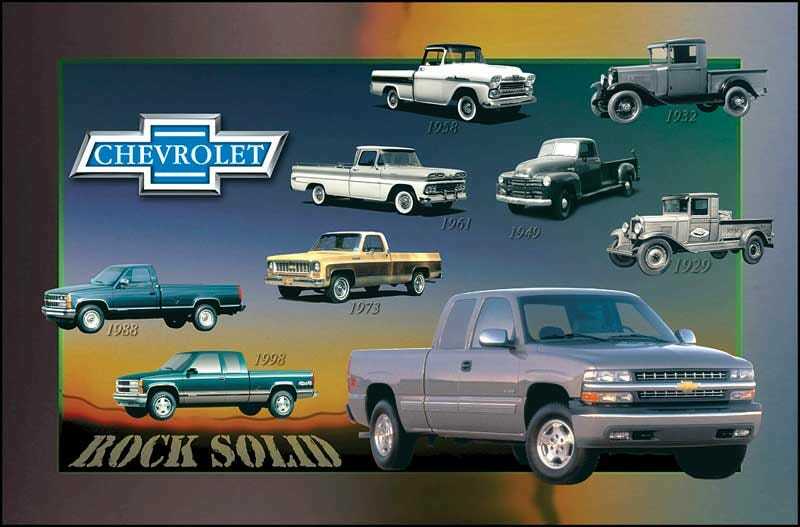 Like Ford, GM also had a lot of messy overlap between generations, but when it comes to the standard US-market pickups, the dividing line came a little later than Ford’s did, as 1999 MY trucks took on the name Silverado as more than just a trim level. NBS and OBS rose in popularity among enthusiasts, thanks in no small part to the digital age. It became even more convenient to throw these acronyms around, using them on all kinds of websites, especially forums. Though it was hot and trendy to have acronyms for both the new and previous generations, it soon became apparent that other generations would need acronyms of their own. That’s probably how the term OOBS was born. That’s right: Old Old Body Style. And naturally, there eventually needed to be an acronym for the generation that eventually replaced the NBS trucks... you guessed it: New New Body Style. Is there no end to this madness? You do see where this is going, right? Wait wait, hold on, GMT-what now? You mean that the manufacturer already has official alphanumeric codes to help identify these trucks and we’re just going to ignore them in favor of this NBS/OBS crap? You’ve got to be kidding me. “New New New Body Style” Oh, give me a break. Now maybe I’m just not hanging out in the right places to be exposed to the term, but TBH I don’t see very many people using NNNBS for the current GMT K2XX-series trucks, so maybe others are getting as tired of this nonsense as I am. OBS and NBS do still see frequent use, but perhaps there’s hope for future generations after all. The K2XX platform has a replacement already on its way: the GMT T1XX. If we’re lucky, no one will start calling it the NNNNBS.